HTC has added the two new models to its flagship U11 family, the premium U11+ and entry-range U11 Life. We'll start with the HTC U11+ because it's the sexiest. The U11+ takes everything we loved about the standard U11, the great camera, EdgeSense, and Liquid Surface design, and adds a 6-inch edge-to-edge display, larger battery, and an awesome translucent cased model. The QuadHD LCD 6 display is the real star here, with a 18:9 ratio (which has become very popular now), and HDR10 (coming in a software update soon). The larger screen and body mades way for a louder BoomSound speaker and large 3,930mAh battery. A squeeze opens the new Edge Launcher, which can be customised for easy and fast access to apps, contacts, and quick settings. It's a nice touch, and looks like it'll make using that large screen one handed easier. The Translucent Black provides a cheeky look into the heart of the phone. It's stunning, something I haven't really seen before. The bad news is, it looks like the Translucent Black model won't be available in the UK. The good news is that HTC U11+ will come with the same excellent camera found in the standard U11. The device will cost £699 (around $699 USD). That's not all HTC has to show off. There's also the U11 Life, which features Edge Sense, 16MP camera, Snapdragon 630, and it'll be the HTC first phone to ship with Android One (a stock version of Google's mobile OS for entry-level devices). 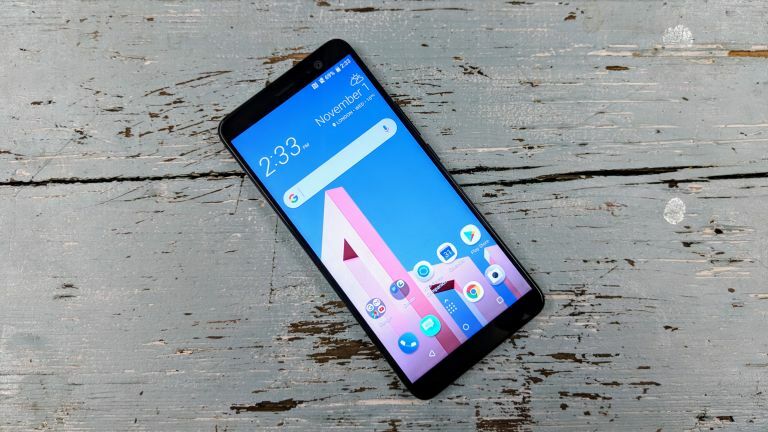 The U11 Life features a number of cost cutting measures from the standard U11, such as an Acrylic Glass case, but HTC are confident it still carries the U11's DNA. The HTC U11 Life will cost £349 (around $349 USD).